We have all heard and been victim to retail therapy at least one point in our lives. I was actually talking to one of my girlfriends the other day and she was mentioned that she needed to go shopping at the mall because she was having a bad day and needed a little boost to make herself feel a tad better. Given that material purchases do give us a quick boost of joy when we make the purchase, we need to make sure we are not falling in the pits of debt and regret when we are in the mood for some retail therapy. For those who have not yet heard of the term, it’s shopping with the primary goal of improving one’s mood or disposition. So if you do strongly believe you have to get some retail therapy, I have some tips that I found to curb regret after our therapy session. First and foremost, bring cash not card; if you don’t have any cash and can only use a credit card, then you shouldn’t be shopping, trust me it’s not worth it. Instead, go for a run or jog at the park, it’ll clear your head. For those who still crave retail therapy and have cash, only bring the cash you need and no cards. This way, once you run out, you’ll refrain from buyer’s remorse, no ifs ands or buts. Another great tip, when it comes to buying clothes for retail therapy, just buy basics. This way you’ll know you will be able to wear your new material goods more often than a glamorous ball gown that you fell in love with at the store but will never wear in real life. Buying the basics will also limit the amount of money you spend on clothes, limiting that horrible feeling of regret afterwards. 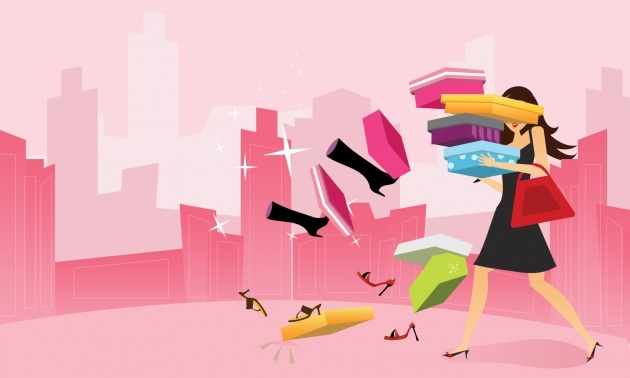 So, if you really feel that you just have to have some retail therapy and this is the only way that will make you feel better, spend wisely and use these little tips when healing yourself, they will limit buyer’s remorse and surely make you feel better for just a little while longer.